As I understand it, the first chart reflects radio airplay alone, while the second chart reflects not merely airplay but also record sales and download statistics. Including that additional data results in the addition of three 2014 releases to the list at numbers 1, 2 and 6. 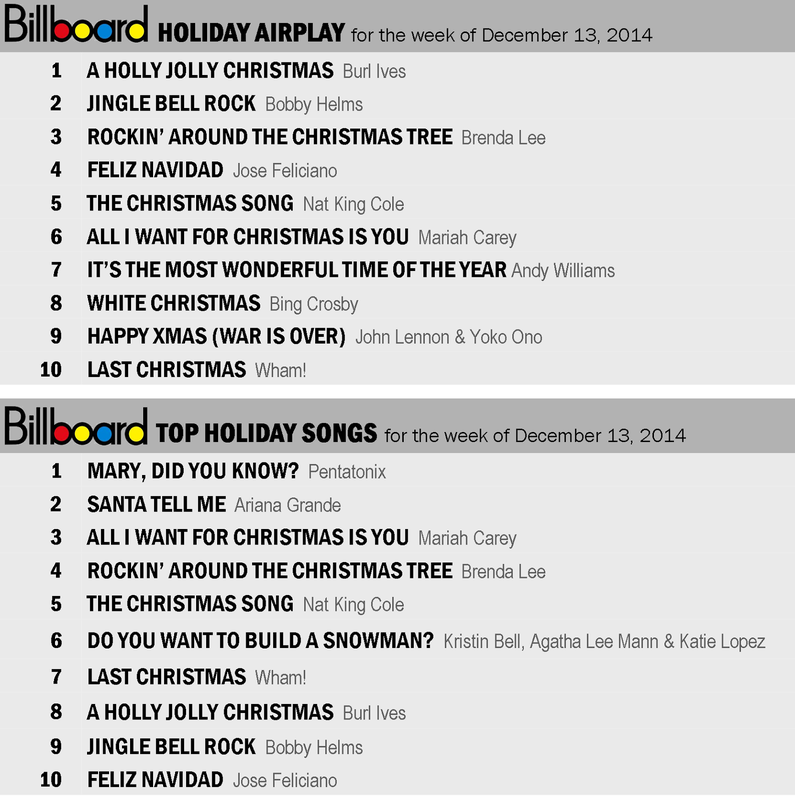 When airplay alone is considered, the top ten holiday songs of 2014 are all 20 years old or older. I won't let loose with another diatribe here on the moribund state of American radio today. These charts speak for themselves.